As an adult needs to work in order to stimulate and exercise his or her brain, a child needs to play in much the same way. When a child plays, he or she learns about the world and discovers new things and the mind learns how to process. Furthermore, the child needs to play so that he or she can learn how to interact with oneself as well as with other individuals. In fact, play for a child is of such vital importance that the United Nations has declared it as a basic right for every child. If you want to know more about why the UN has placed such importance on the play for a child, check out the below ways that play, whether it is learning based or unstructured and free, can benefit your child’s development. When a child plays, the child tends to imitate adults. A child will create made up games that imitate real life ‘adult’ situations. This helps to stimulate the child’s imagination and the events are usually based on real life. Through this imaginative storytelling, the child imagines and creates the narrative which then encourages abstract thinking. This abstract thinking then becomes the base for which the child can develop problem-solving skills as well as training the mind for advanced learning. Several studies have shown that play is great for the developing brain. Moreover, when a child gets lost in free play, the free play can positively affect how the neural circuits become connected. When a child is free to experiment and play freely, it encourages confidence in the child as well as communication and intelligence. When a child can enjoy regular play stress, anxiety and frustration become reduced. A child who can play regularly will develop a strong sense of self and self-esteem. For a child’s emotional development, the child will develop emotional flexibility as play will encourage a child to cope with unexpected changes. This promotes resilience. Want to find some great games to encourage this for your child? Then check it out! Children who spend time playing with others in a group setting learn how to positively interact with others. They learn how social and cultural differences can be perfectly fine and that being different doesn’t mean that different is bad. A child who learns how to be cooperative in a group setting from a young age can benefit from this as he grows older and will be introduced into more group settings. The following skills can also be learned: navigating relationships, group behaviour and self-control. These skills can form the foundation for a. developing a child’s healthy grasp of social skills. The benefits of play for a child are not only restricted to play which relates to group play. Solo play can encourage a large number of benefits as well. A kid who learns to play on his builds a strong sense of self, creativity and independence. There are many children who may prefer to play alone when given the choice and it is important for parents and guardians to know that this is not a negative sign and that the child is learning exactly the things that he or she needs to through his or her choice of play. The majority of kids have an abundance of energy and enjoy moving around and being active. Physical play becomes a kind of exercise for children and assists them in stimulating growth, enhancing reflexes, hand-eye coordination, motor skills and other important things such as promoting healthy bone density and cardiovascular health. As a child learns to have fun moving his body, this sense of trust and enjoyment through moving the physical body will continue and help the child to develop a healthy attitude towards physical activity. Furthermore, when a child is physically active, the child learns to trust in his or her physical body, they learn how to use their body correctly and that their body should be treated with care since it can help them to perform physical activities. There are many mental skills that a child can learn through play. In games such as Scrabble, a child will learn broader spelling and vocabulary. Through word related games such as Scrabble, the child is exposed to new words and can also begin to understand word associations. The more traditional card and board games such as Rummy and Chess can encourage a child to develop strategic and logical thinking as well as problem-solving. Memory skills are one of the important skill a child can learn through games. Through playing more complex games where rules need to be remembered, the child’s memory ‘muscle’ is trained. This can also happen through the above-mentioned games, where the child needs to remember previous moves made by the opponent in order to anticipate future moves. Always remember that play is one of the most essential parts of childhood. Play can have far-reaching positive consequences and can become the backbone of a child’s development. 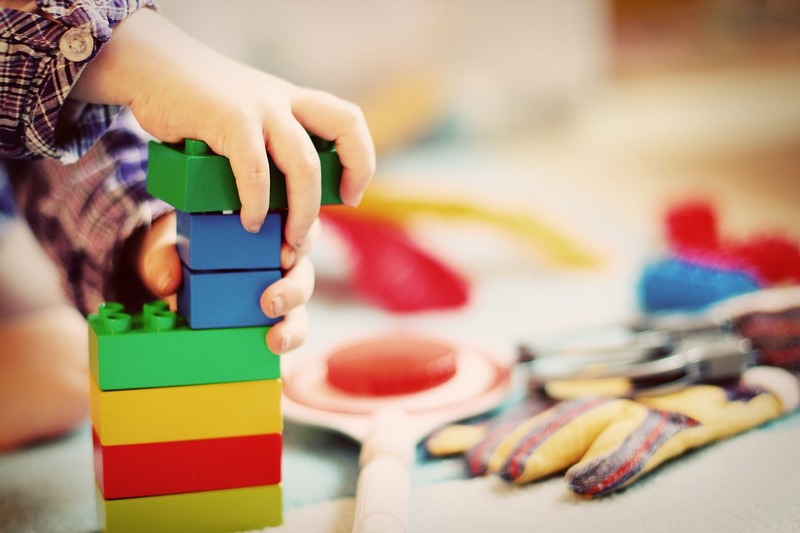 Whenever a new skill is learned through play, or the child experiences a ‘win’ or completion of a game, the child will feel a sense of pride which will reinforce self-confidence and self-esteem. In today’s modern day, there is an extreme amount of importance and pressure placed on winning and on being ‘great.’ When a child has no time to play because too much importance is placed on structured development, key developmental essentials can be lost. A child needs play. Children are naturally inclined to be curious about their environment, their surroundings and about life itself. Play helps them to figure out life and helps them to understand themselves with respect to the surrounding world. And when the play is used to explore these natural curiosities, the child can figure it out with a sense of independence and develop essential self-esteem. We left our home in Sydney, Australia many moons ago in May 2012 and, other than a brief stint back in Perth for Christmas and a wedding in early 2014, we have been travelling the world nomadically ever since, running a business from our laptops and we’re here to show you how to do it!